ABOUT USHOW IT WORKSPRICINGCONTACTSERVICESPACKAGESPACKAGESSchedule a home visit! 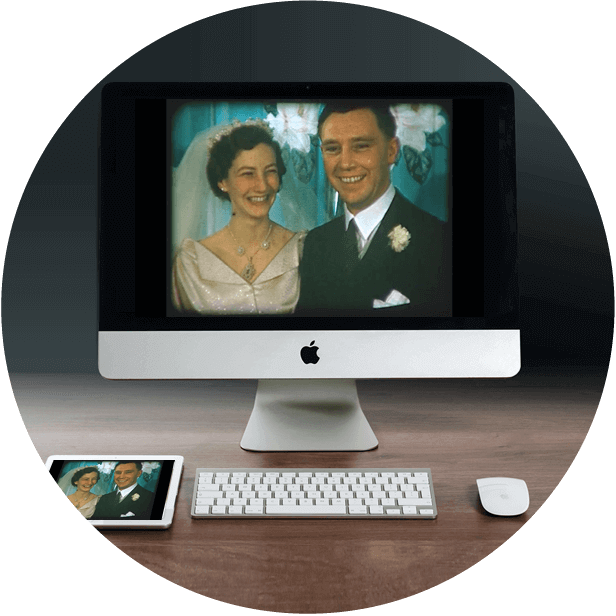 WE ORGANIZE, DIGITIZE & BACK-UP YOUR OLD FAMILY PHOTO ALBUMS & SLIDES IN YOUR DRIVEWAY. SAVE YOUR FAMILY MEMORIES TODAY! 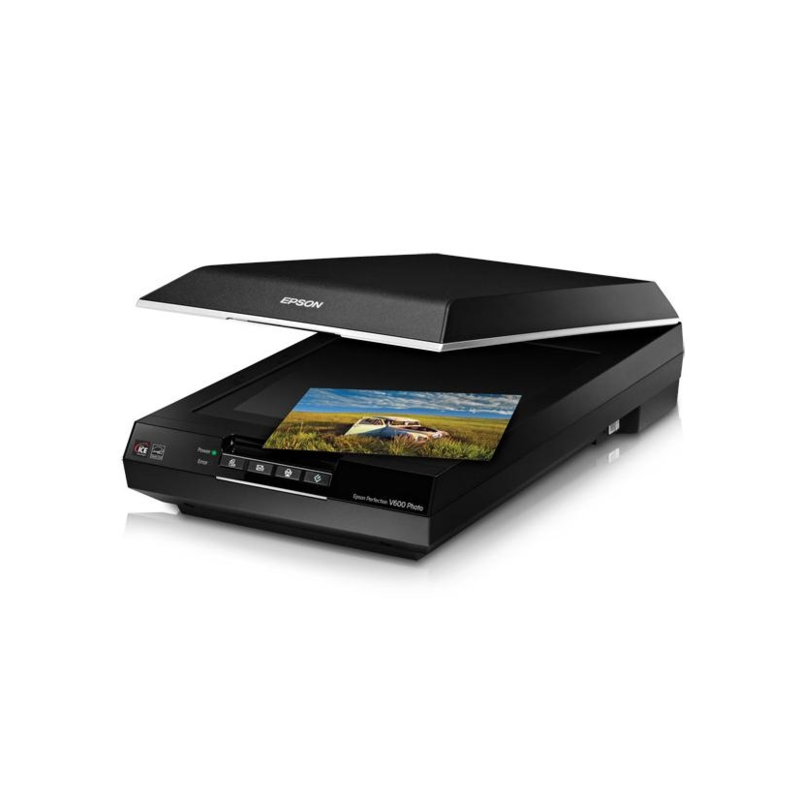 One of our friendly team members will explain the service and provide you with a free photo scanning estimate. 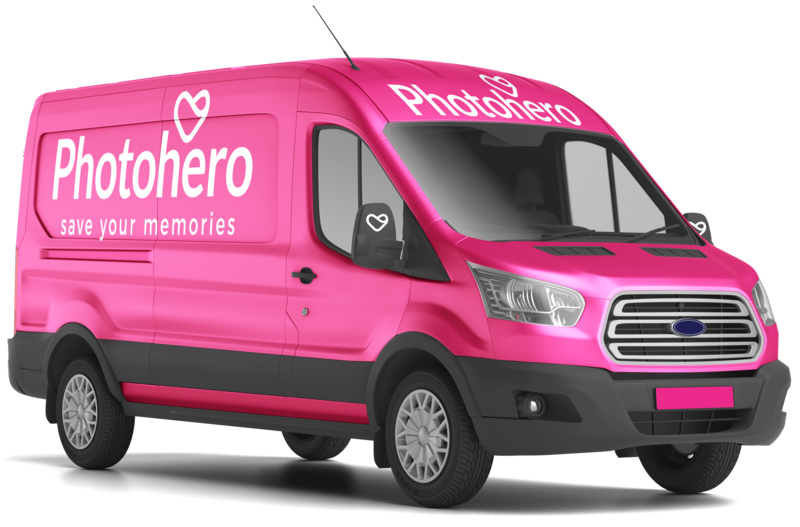 Our Photohero Van and friendly ScanTech arrive during your scheduled time to finalize the details of your custom photo scanning order. We'll even retrieve your photos from your attic or basement! We get to work, saving your family memories with our state-of-the-art scanners. 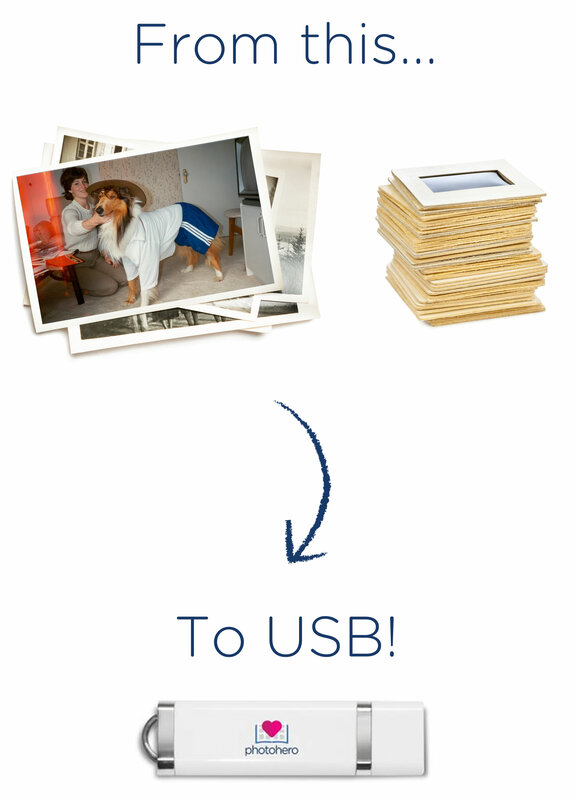 We organize your old photos & slides, then digitize them and upload them onto USB, all in front of your home while you relax. We get to work, saving your family memories with our state-of-the-art scanners. 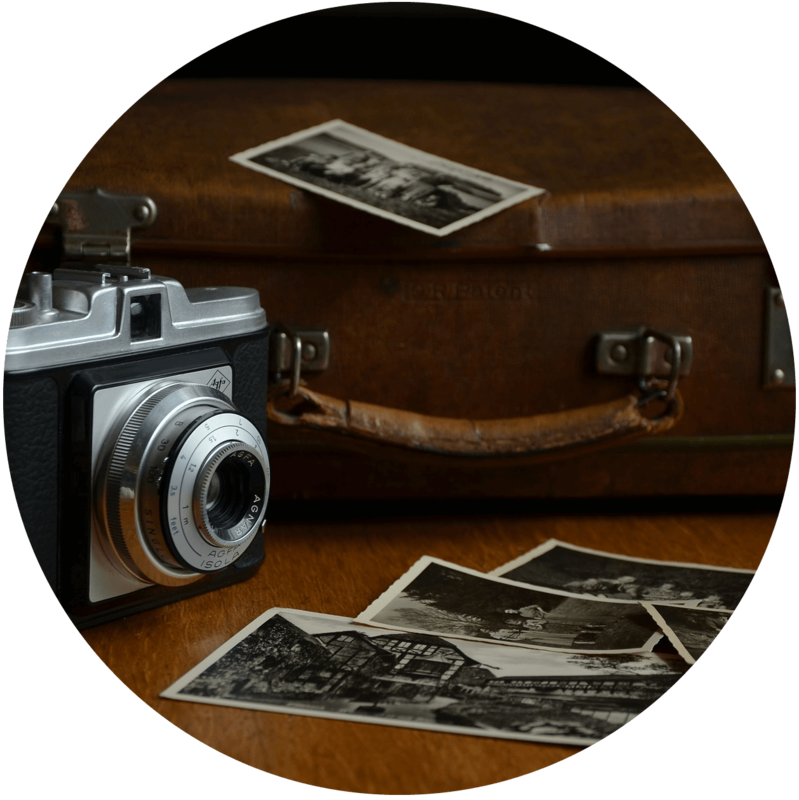 We organize your old photos & slides, then digitize them and upload them onto a private online account, all in front of your home while you relax. Once our work is completed we return everything to you and provide you with a digital copy on a USB, and even help you back them up online on your computer. Once our work is completed we return everything to you and provide you with a digital copy in a private online account, and also help you back them on your computer. ensuring the safety of your precious memories for generations to come. Our friendly staff digitize your photo albums and slides in front of your home, ensuring the safety of your precious memories for generations to come. or fill out our online form by clicking here. Schedule a home visit and one of our friendly scanning professionals (I’d like to call us “Heroes” – what do you think?) will come over to help you get started. Give us a call at 1-800-991-HERO (4376) or click here to fill out our online form. We get to work, saving your family memories with our state-of-the-art scanners. 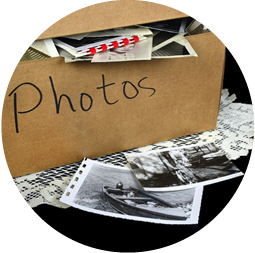 We digitize your old photos & slides, organize them by album and more (see the full list here), all in front of your home while you relax. 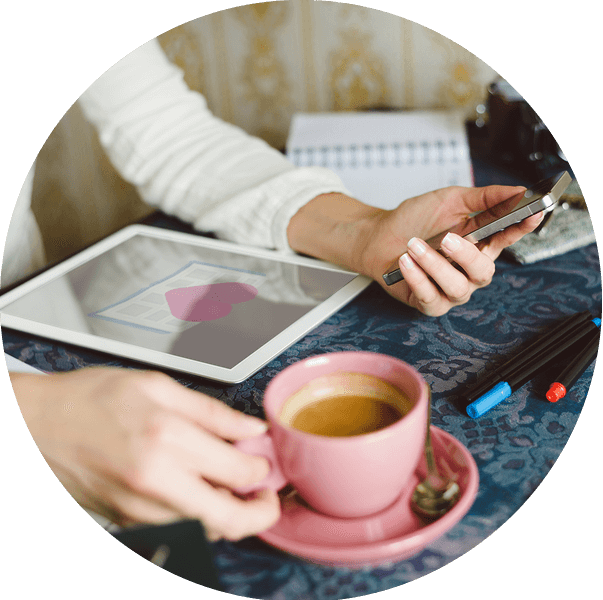 Once our work is completed we return everything to you and provide you with a digital copy on an external hard drive, and an option to store them in an online, private account that we create for you. and uploaded onto a USB. Just find your albums and give us a call! 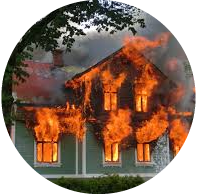 You'll be so relieved knowing that your precious family memories are safe. Contact us for a free estimate and to let us know about your unique scanning needs. This package includes 500 photos that are out of their albums, and between 2"x2" and 8"x12". We will happily take photos out of their albums or scan them in their albums for an added fee. Smaller, larger, and delicate photos can also be scanned for an added fee. If you have more than 2,000 photos that you would like scanned get in touch, we offer bulk pricing for larger orders as low as $0.29/photo. We also offer custom photo & slide combo scanning packages. • Great for medical and dental offices, or any office wanting to transition to a paperless office! For a full list of services offered please feel free to get in touch. If you have an urgent scanning request let us know, we will do our best to accommodate your needs. *Up to 1,000 regular photo scans (no larger than 8.5"x30", no smaller than 2"x2", out of albums). Slides count as 2 scans, photos smaller than 2"x2", larger than regular scans up to 12"x18", photos in frames, and delicate photos count as 5 scans. Extra regular photo scans cost just $0.35 each, extra slide scans just $0.55 each. Removal of photos from albums and photo cropping extra. Slide cleaning, cropping and rotation extra. Contact us for a full list of extras. Host a "Photo-Scanning Event" or Book a private at-home appointment. Don't have 3,000 of your own photos to scan? Organize a Photo-scanning event! Whether you have only 1 photo you want scanned or 1,000, everyone can now benefit from Photohero's safe, on-site photo scanning! This package is for families with large photo collections. Get in touch and we can help you preserve your family history. What is a Photo-Scanning Event? 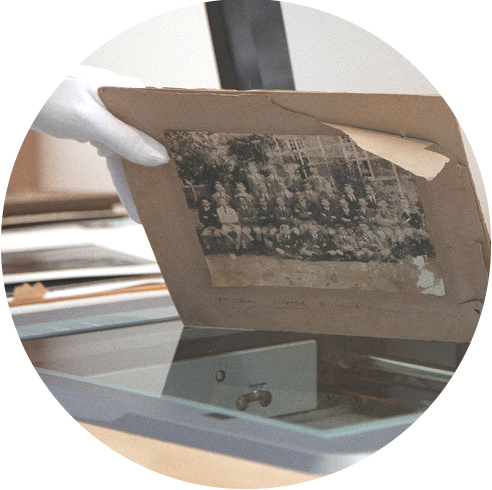 Photo-scanning events are the best way to get your family memories digitized if you don't have a very large collection. Simply book a Photo-Scanning Event and then arrange your family and/or friends to leave the photos they want scanned at your home in labelled envelopes. Our friendly ScanTech will organize all of the photos on-site and ensure they are scanned separately. Everyone will receive their scanned photos in a separate, private online account that will be emailed to them. Once everything is scanned everyone can come and pick up the original photos from the host's home. All the safety of at-home scanning for people who don't have very large collections. Scans refer to regular photo and/or slide scans. For further details, including price for extra scans, contact us. 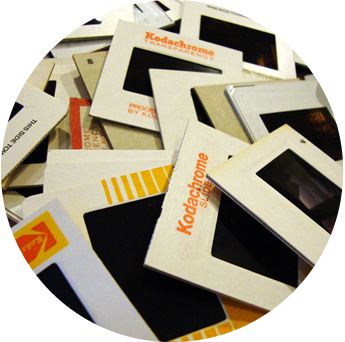 If you have a very large number of photos or slides that you would like scanned, get in touch, we offer bulk pricing for larger orders. Our friendly staff will scan your items right in your driveway, ensuring the safety of your precious memories for generations to come! will come over to help you get started. We come to you on your scheduled day in our mobile photo-scanning van! We then digitize your memories in your driveway with our state-of-the-art equipment, and organize them so you can easily search for the album you wish to see. Schedule a home visit and one of our friendly scanning professionals (I’d like to call us “Heroes”) will come over to help you get started. in our state-of-the-art mobile photo scanning van! 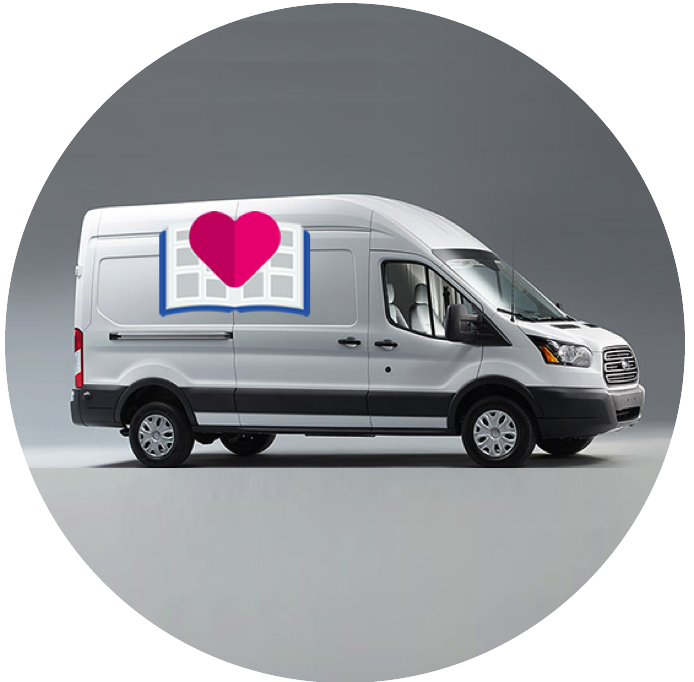 We come to you on your scheduled day in our state-of-the-art mobile photo scanning van! 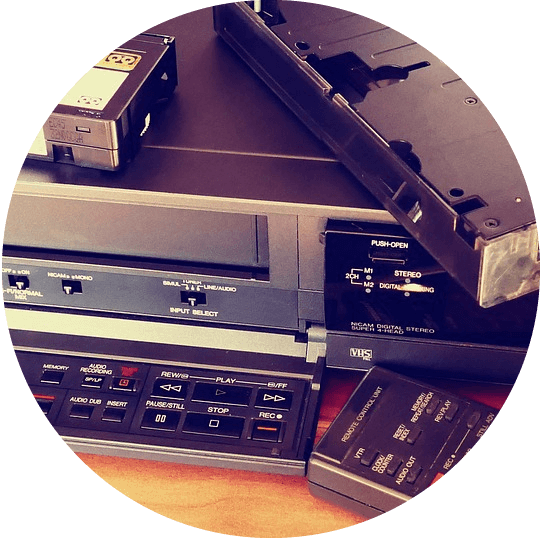 We then digitize your memories in your driveway with our state-of-the-art equipment, and organize them so you can easily search for the album or movie you wish to see. Once our work is completed we return everything to you and provide you with a digital copy on a USB and in a private online account that we create for you. Once our work is completed we return everything to you and provide you with a digital copy on a USB. 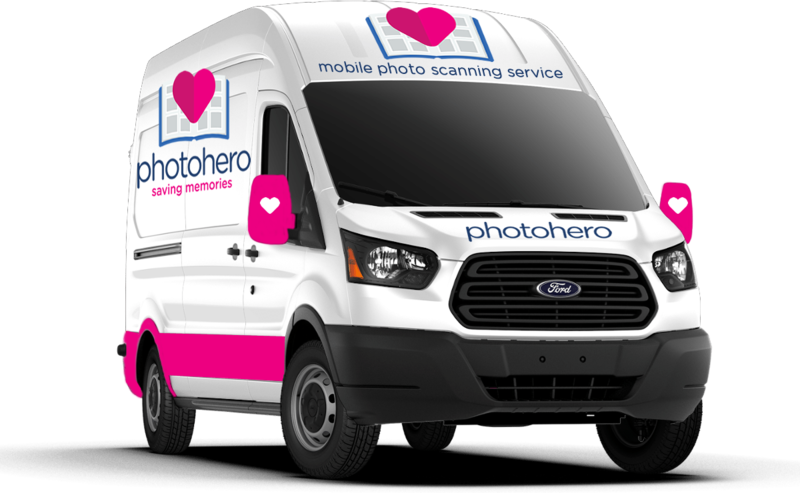 Photohero is a mobile photo scanning service serving greater Victoria and beyond. We are dedicated to preserving your family history while delivering unmatched customer service. 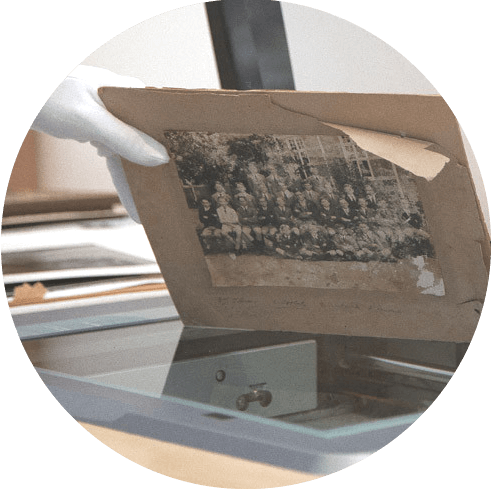 Our gloved technicians digitize all of your old photos and slides by hand in front of your home using state-of-the-art equipment and the utmost care. "I was very happy with PhotoHero. The service and product were both excellent. I would highly recommend them and will use their service again." "Friendly fast service, thank you for converting all of our family photos into a digital format for our whole family to share... and for enabling us to clear out space in our basement!" "A great experience from start to finish! [Photohero] digitized our treasured family slides for us. We were pleased to not have to mail them away to be processed. We were treated to excellent customer service and outstanding communication. The resulting images look amazing! Thank you, Ian!"